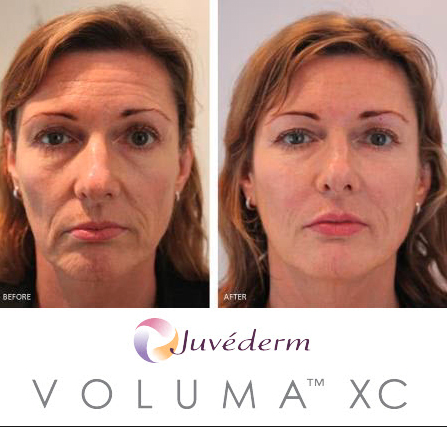 Okay ladies, not only do we have Botox for our foreheads and crows feet; and Juvederm for the pesky lines around our mouths; but we now have Voluma. Basically, it is possible to treat aging all over the face with this awesome trifecta. Although Voluma has been in the US since 2013, it is less widley known than other injectables and fillers. So, here is a few fun facts about Voluma and it’s uses. Voluma is a filler. This means that the surgeon will inject a smooth, colorless gel of hyaluronic acid through a small needle into the cheek area to fill out the skin. Hyaluronic Acid is simply a naturally occuring sugar that is found in the human body. When HA is injected in the body, it helps create smooth, soft, and full skin. Voluma is injected into the cheek area to help lift the cheek, produce fullness, and smooth out fine lines and wrinkles. The result is a much more youthful and rested appearance. The picture explains it all! 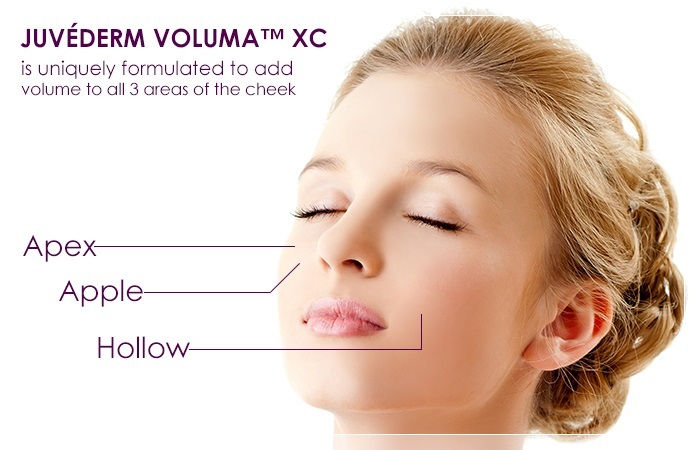 Voluma is fantastic for treating the three main areas of the cheek. Treating all three areas helps to lift the cheek and give that youthful look we desire. Are you ready for this answer? You should be excited. We all know Botox lasts 3-4 months and Juvederm lasts 9-12 months. However, Voluma lasts up to 2 years in most patients! With all the filler and injectable options available today, you can acheive a youthful appearance easier than ever. Just one visit can leave you with results that you see in as little as three days that last for months!